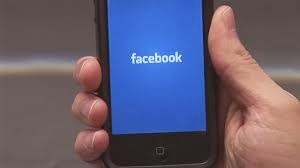 Facebook Tips and Tricks: 5 Free Facebook "iPhone Apps"
5 Free Facebook "iPhone Apps"
Today most of the people use their mobile devices to access Facebook and any other social media. There are in-built apps or can be downloaded. This post relates to some 5 free iPhone or iPad apps which are related to "Facebook". Facebook not only gives a platform for sharing but also makes money for business. Social networking is not for sharing and liking but also using it for important issues. Listed below are 5 "Free" useful and important iPhone apps related to Facebook. Emoji for iOS7: This app is for chat lovers. You can use this app for sending cool , awesome "Emoji icons" while chatting. Specially designed for iOS7 users, this app is compatible with all devices like iPhone, iPad and iPod Touch. Using this app you can select fancy fonts, create your own emoji icons, etc. Facebook Camera: This app is designed for sharing photos on Facebook faster than ever. Over 460+ emoji icons which you can add in emails, text messages, notes, and almost anywhere. Facebook Pages Manager: This app helps admins connect with their audience and keep up with activity on multiple Pages, all in one place. Countdown!! : Featured to take care of your next event - your next vacation, the next concert, the next movie premiere, your child's graduation, your anniversary and more - in style! These applications will definitely get more out of your Facebook and use the better options while chatting, sharing status updates, uploading images or videos, fan pages, personal events , etc. And the list will never end as lots of apps are found on iTunes for iPhone and iPad users who are interested in "Social Networking". Surely these 5 free apps will help you out in some or the other way on the daily basis while using Facebook on your mobile device.